Johnson, at the time a Democratic congressman from Texas, desperately didn’t want to be one of those men. Back in 1940, he had joined the Naval Reserve, using his connections to obtain a lieutenant commander commission. During an unsuccessful run for the Senate in the fall of 1941, Johnson—an interventionist like President Franklin Roosevelt—promised voters that if the U.S. entered World War II, he would leave his seat and go on active duty. The day after Pearl Harbor, at age 33, he volunteered for active duty. U.S. Navy Lt. 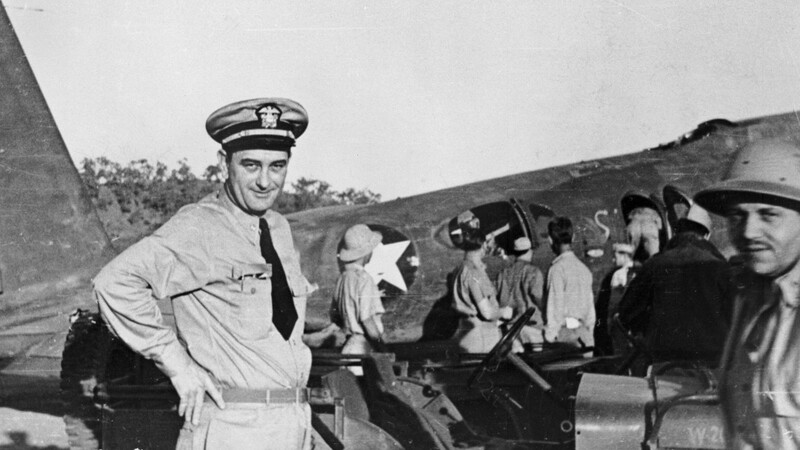 Commander Lyndon B. Johnson, circa the 1941. Despite his rank, “he had no military experience, and there was no way the Navy was going to put him in charge of a ship,” explains Randall Bennett Woods, author of the biography LBJ: Architect of American Ambition, as well as Prisoners of Hope: Lyndon B. Johnson, the Great Society, and the Limits of Liberalism. Instead, Johnson was sent to the West Coast, where he spent four months supervising Naval shipbuilding contracts. But he wanted to get closer to the action, which his advisors also told him would help his political fortunes. In the spring of 1942, Johnson persuaded FDR to send him to the Pacific, where the war was going badly at the time, on a fact-finding mission. 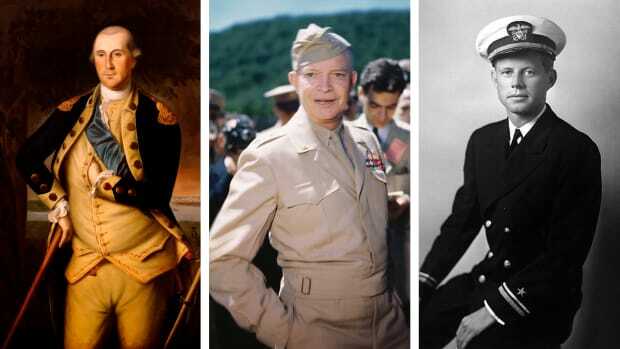 MacArthur was irked that the Joint Chiefs of Staff had decided to give the European Theater precedence in terms of ships, guns and men, and Johnson agreed to act as MacArthur’s advocate when he returned to Washington, and to press for more resources for him, according to Woods. Johnson toured U.S. and Australian air bases, where the closest he got to the rigors of war was enduring a bad case of dysentery. He pressed commanders for a chance to get into combat, even if it was just as an observer. 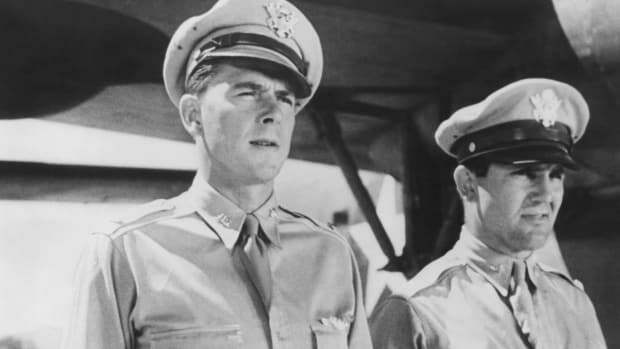 Thus, on June 9, 1942, Johnson walked onto the tarmac at Garbutt Field in Australia and prepared to join a squadron of bombers on a raid on a Japanese base on the northeast coast of New Guinea, according to Woods’ biography. 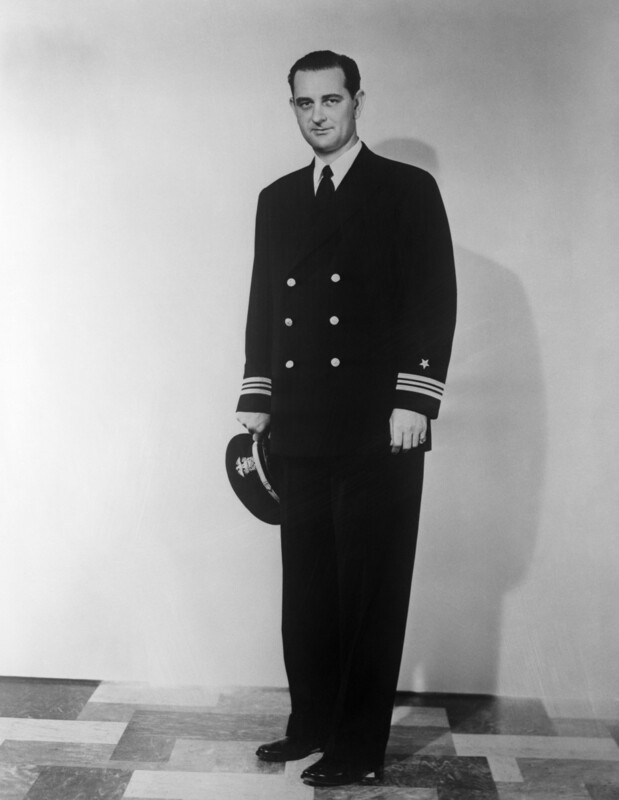 Lyndon B. Johnson, in the Navy before his presidency, circa 1940s. Johnson was assigned to the Wabash Cannonball, a B-26 piloted by Lt. Willis G. Bench. He met the crew and checked out the plane, but then decided that he needed to relieve himself before takeoff. When he got back to the aircraft, his seat was occupied by another observer, Lt. Col. Francis R. Stevens, one of his colleagues on the fact-finding mission. As Woods writes, Stevens grinned and told Johnson to find another plane. The future president shrugged and went over to Lt. Walter H. Greer, pilot of another B-26, the Heckling Hare. Greer agreed to take him along. The raid quickly turned disastrous. As the Wabash Cannonball and the Heckling Hare approached the Japanese base, they found scores of Japanese Zeros already attacking the previous wave of U.S. planes. The Wabash Cannonball was hit and caught fire, and crashed into the water, killing everyone on board. 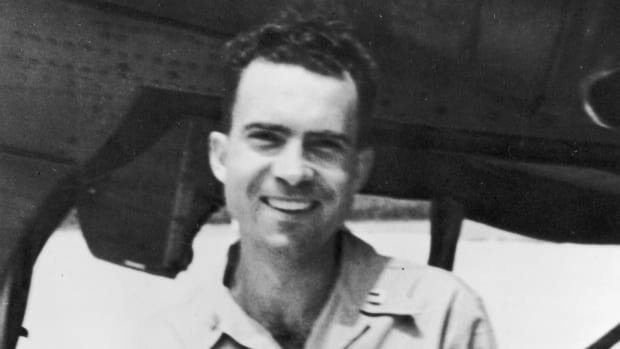 Meanwhile, an electrical generator for one of the Heckling Hare’s two engines failed, forcing Greer to jettison his load of bombs and return to the base, as the Japanese raked the plane with bullets. “They got shot up badly,” Woods says. Johnson gamely went back into the plane to offer to assist the gunner, but mostly watched the terrifying event through the B-26’s Plexiglas nose. 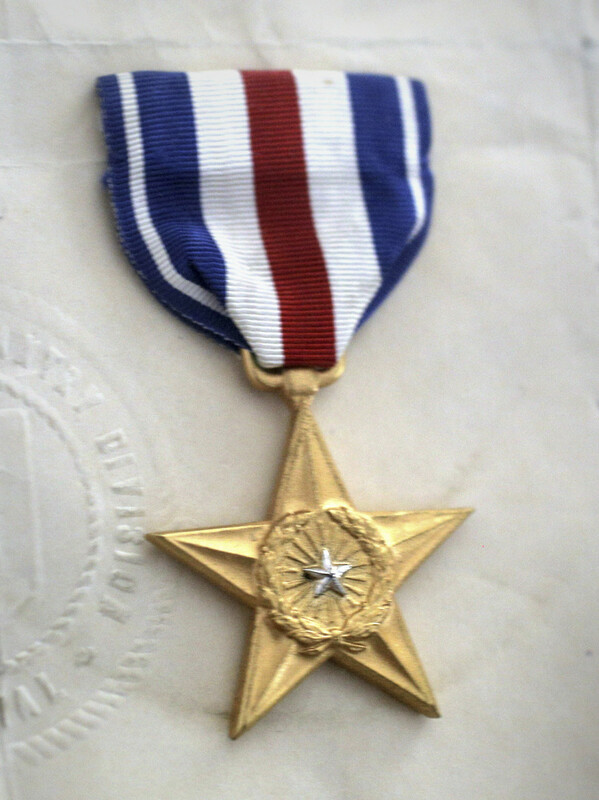 A World War II Silver Star medal. Fortunately, the Heckling Hare made it back to Australia. 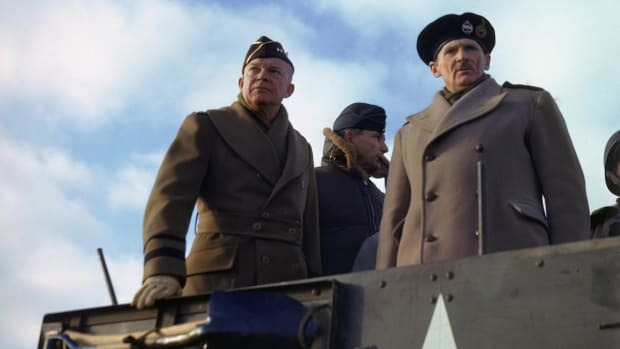 Before heading back to the states, Johnson met with MacArthur, who told him that he would receive the Silver Star—the only member of the Heckling Hare’s crew to get a medal. 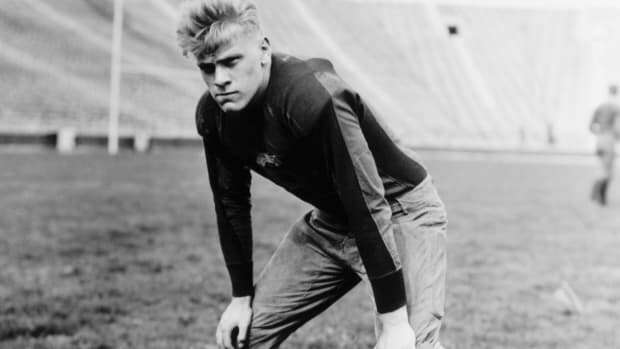 Johnson’s Silver Star citation noted that “he evidenced marked coolness in spite of the hazards involved” and concluded that “his gallant action enabled him to obtain and return with valuable information." Johnson, who had a genuine affection and respect for the servicemen who faced danger on a regular basis, was embarrassed at first by the honor. Woods says that Johnson wrote—but never sent—a letter saying that he didn’t deserve the medal. “Charles Marsh, who was Johnson’s political guru, told him that he was destined to be a major political force, and that he owed it to his country and his career not to give the medal back,” Woods explains. Instead, after FDR ordered that Congress members in the armed forces return to their legislative duties, Johnson went back to Washington and used his military experience—thin as it was—to lend credibility to his calls for more resources for the Pacific forces. After the war, the Silver Star became a part of his qualifications when he won election to the Senate in 1948. But Woods, who spent a decade researching his Johnson biography, never found any evidence that Johnson ever actually talked about the incident, either in public or private. In a sense, Johnson didn’t have to, because voters filled in the blanks. 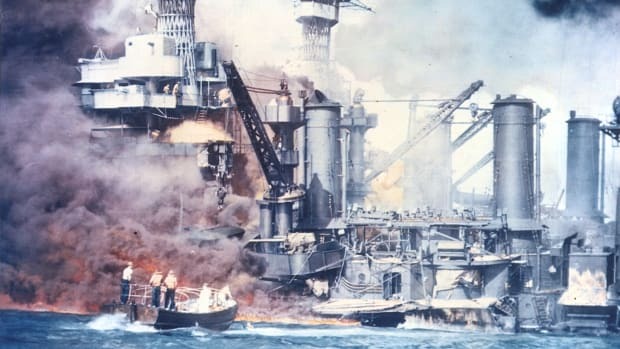 As Mayer notes, politicians who were World War II combat heroes—such as President John F. Kennedy, who survived having his Navy patrol boat ripped in half by a Japanese destroyer, and bomber pilot Sen. George McGovern, D-South Dakota—typically spoke modestly about their exploits. “Johnson was being modest about something that was truly tiny, but everyone probably assumed he was being modest about a great thing,” Mayer says. Kent Germany, an associate professor of history at the University of South Carolina and a fellow at the University of Virginia’s Miller Center, notes that Johnson wore his Silver Star pin on his suit for much of his political career.